Createspace Independent Publishing Platform, 9781975920159, 238pp. When Sheppard is asked for help by his new allies, the Talcon, he can hardly refuse. From their planet-sized spaceship, the Talcon Starcity, the alien race is looking to establish colonies in the Milky Way. Their impressive technology forces most other planets and organizations to play nicely. Gary Caplan has been interested in fantasy and science fiction novels ever since he was a young boy growing up near Philadelphia, Pennsylvania. Caplan received three bachelor's degrees from the University of Pittsburgh. He later earned his medical degree, eventually specializing in occupational medicine and has worked as a preventative medicine officer in the reserves. He holds the rank of colonel. 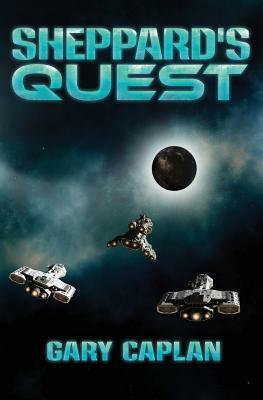 Caplan is also the 2011 Indie Excellence Award winner in, Fantasy for Return of the Ancient Ones.